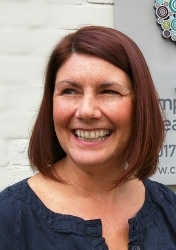 With over 20 years experience as a senior nurse in the NHS, Nikki has an excellent and varied clinical background, which she uses during her consultation and treatments to improve their effectiveness. Nikki owns and runs the Craven Clinic Ltd and has been a therapist at the Clinic since 2009. Inspired by the positive effects her treatments have on her clients well being; she believes holistic therapies should run side-by-side traditional medicine. Her work, alongside other practitioners and organisations is influencing this change, as the benefits of holistic therapies are being more widely recognised. A member of the Federation of Holistic Therapists and current membership with the Nursing and Midwifery Council ensures she completes continuous professional development to maintain her high standards. Standard prices range from £20 to £120 depending on the treatment booked.